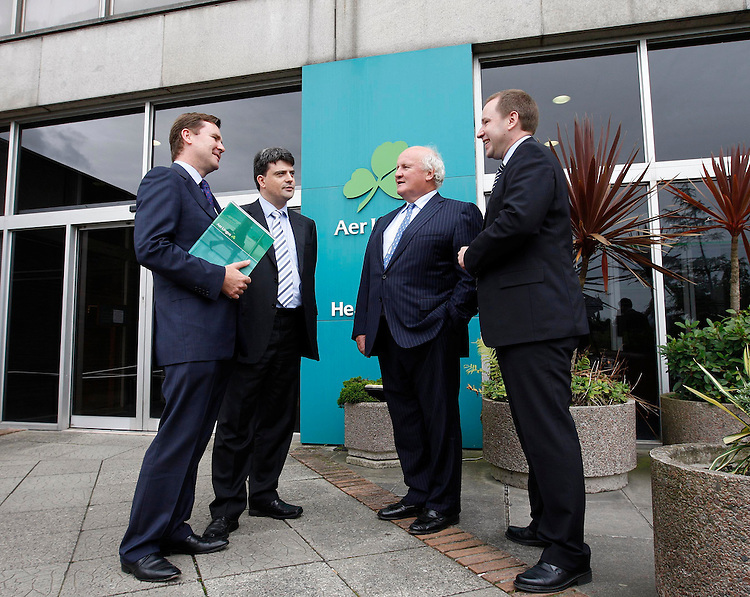 .Enda Corneille, Corporate Affairs Director (left) with Sean Coyle, Chief Financial Officer, Colm Barrington, Chairman and Stephen Kavanagh, Corporate Planning Director of Aer Lingus Plc., pictured here at the company's Interim Results for the six months ending June 30th 2009 held at the headquarters at Dublin Airport. Pic. Robbie Reynolds.